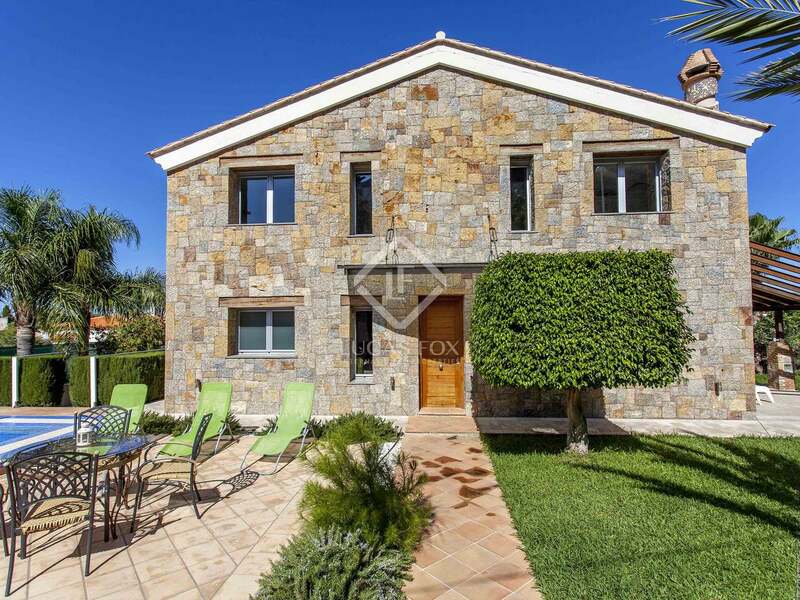 Detached villa for sale on a large plot, with 5 bedrooms, 3 bathrooms, garden, pool and sea views, very close to the centre of Denia. 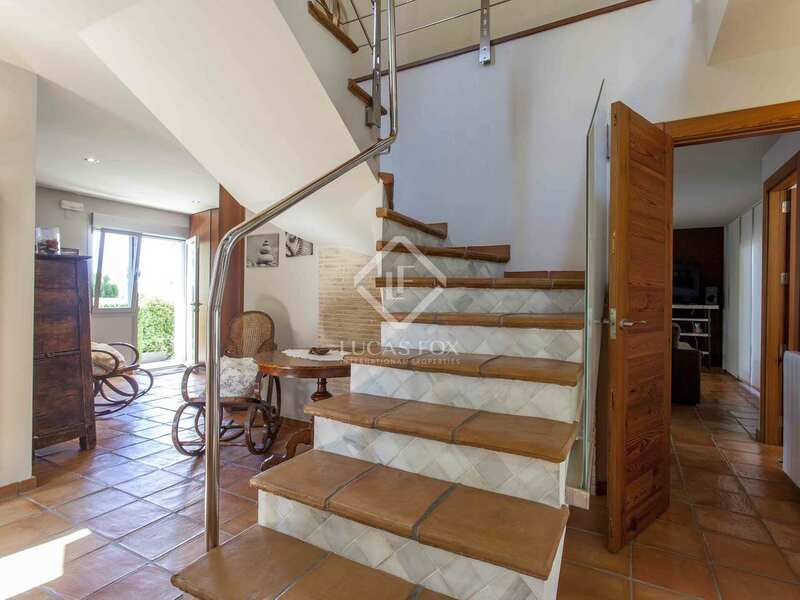 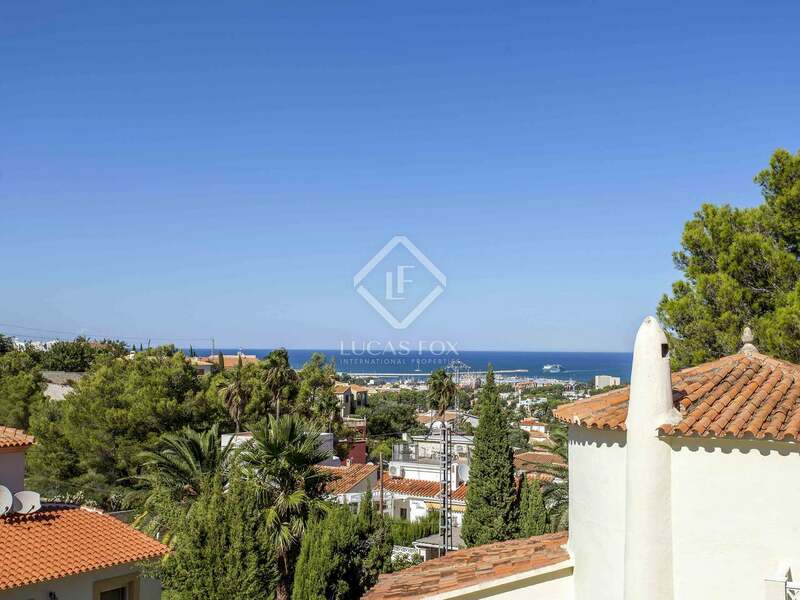 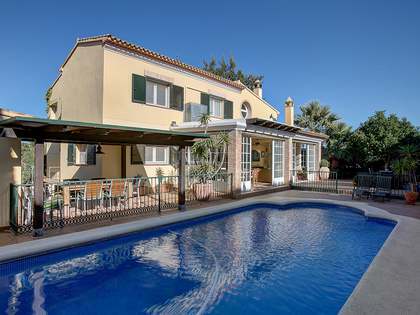 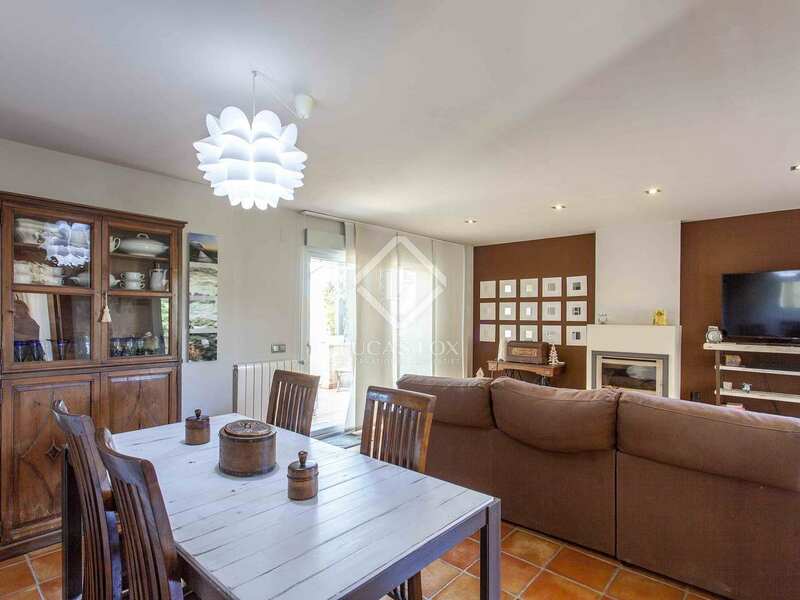 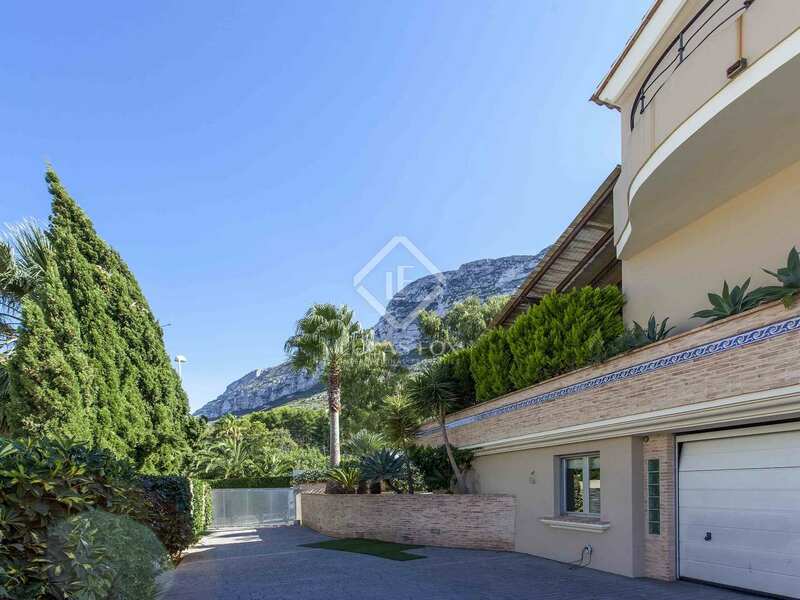 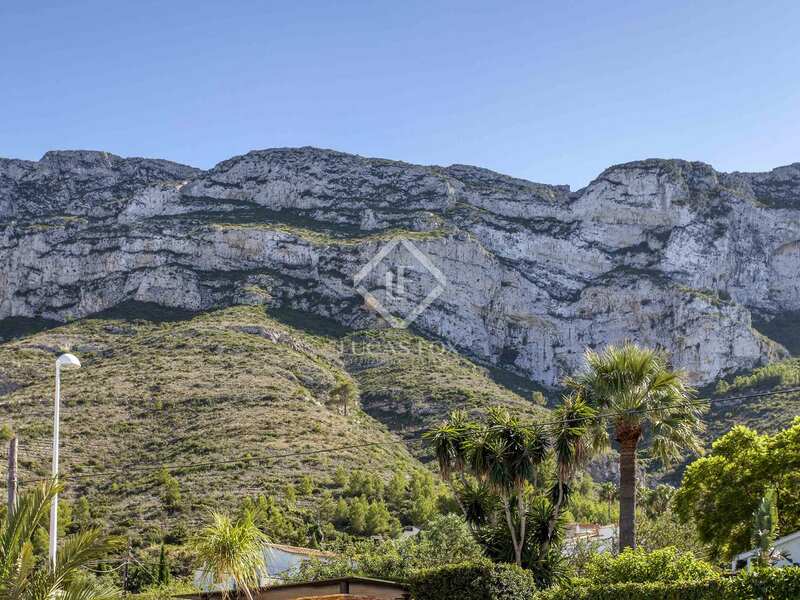 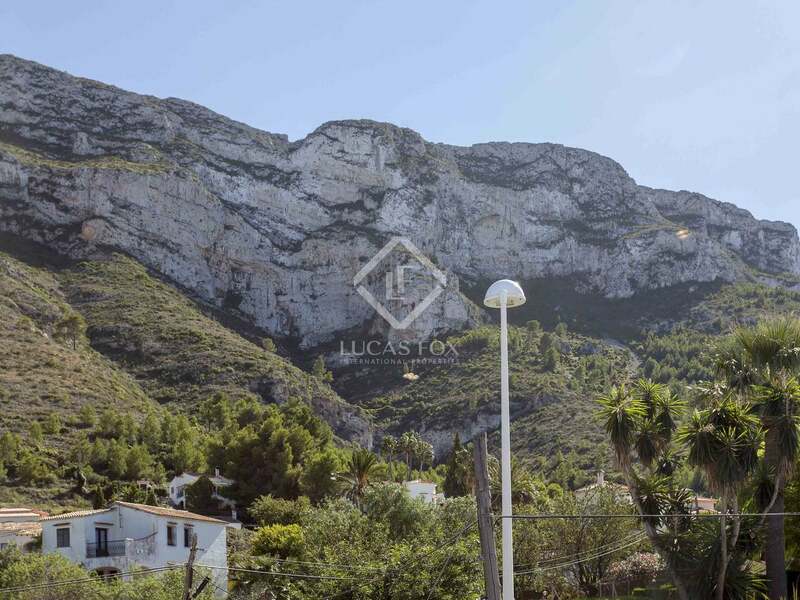 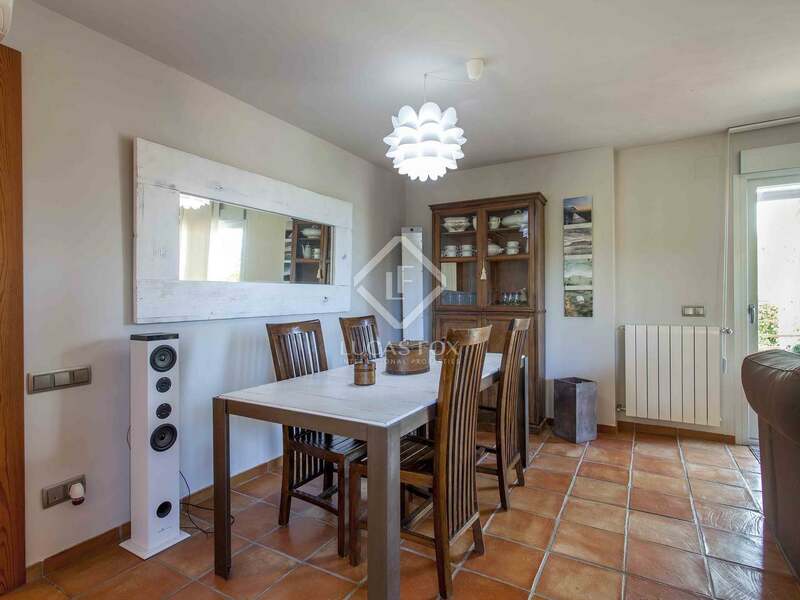 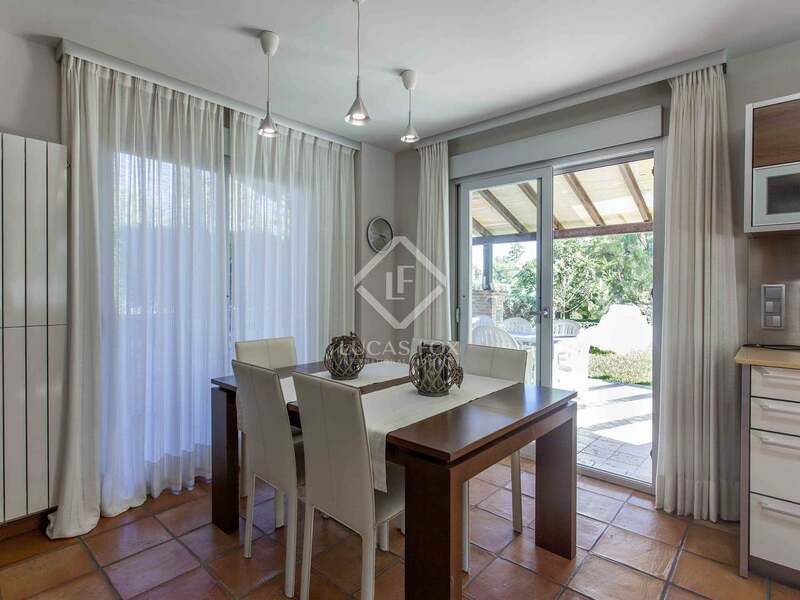 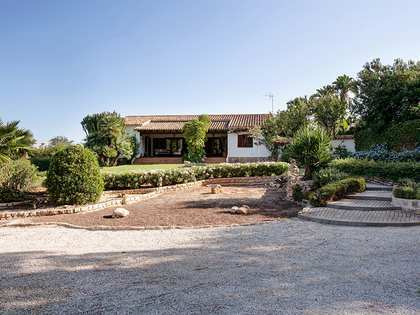 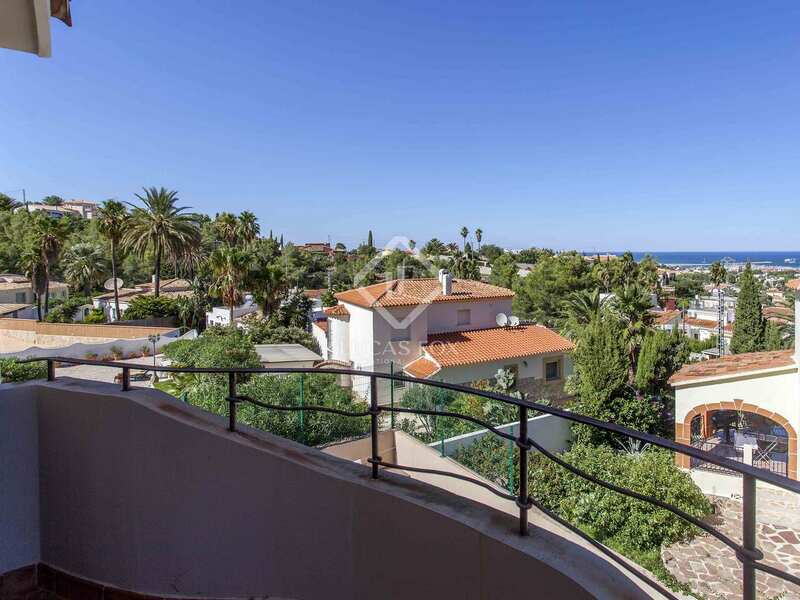 This excellent villa is located in Denia, in the Montgó area. 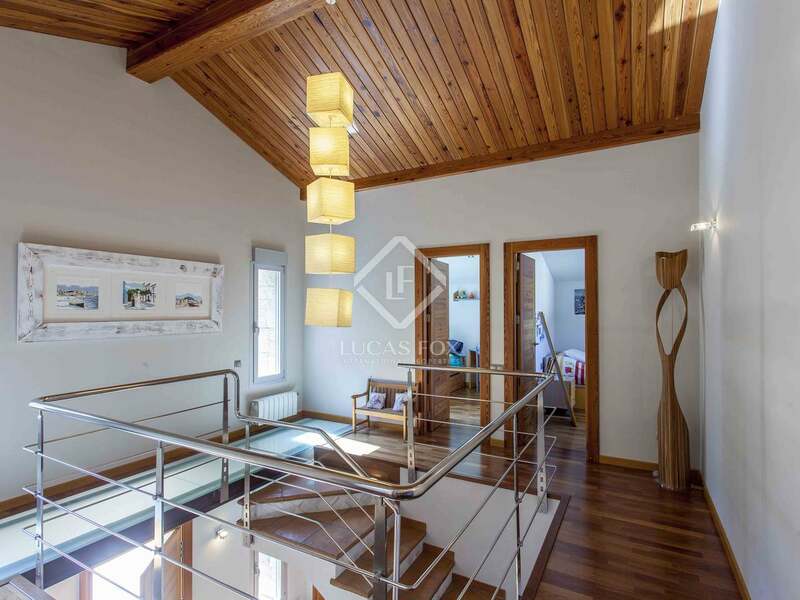 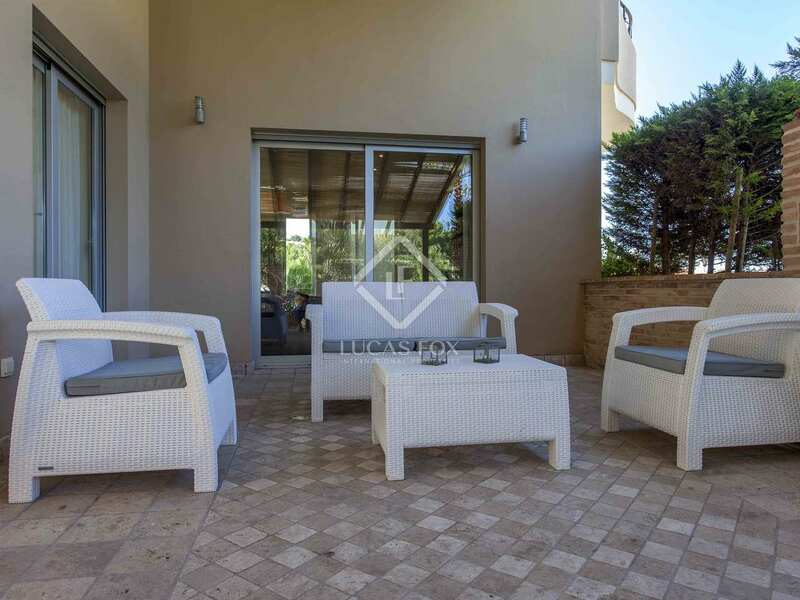 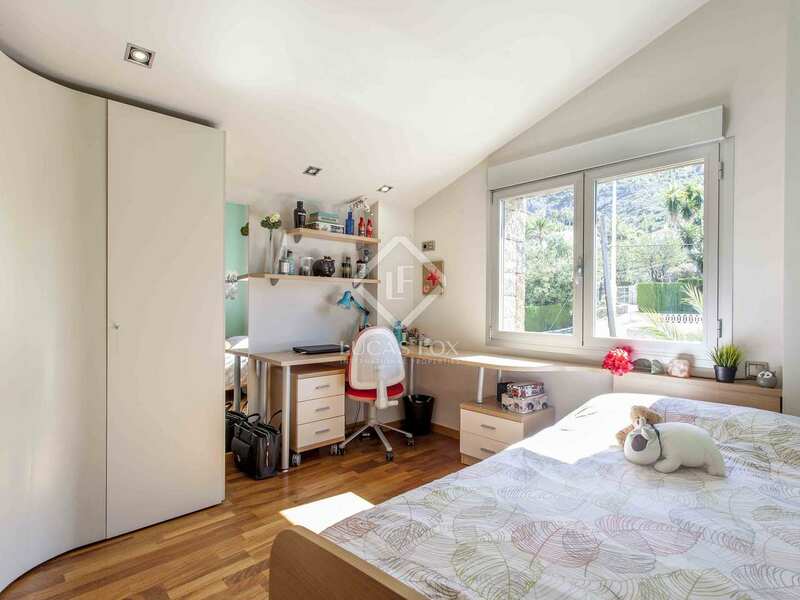 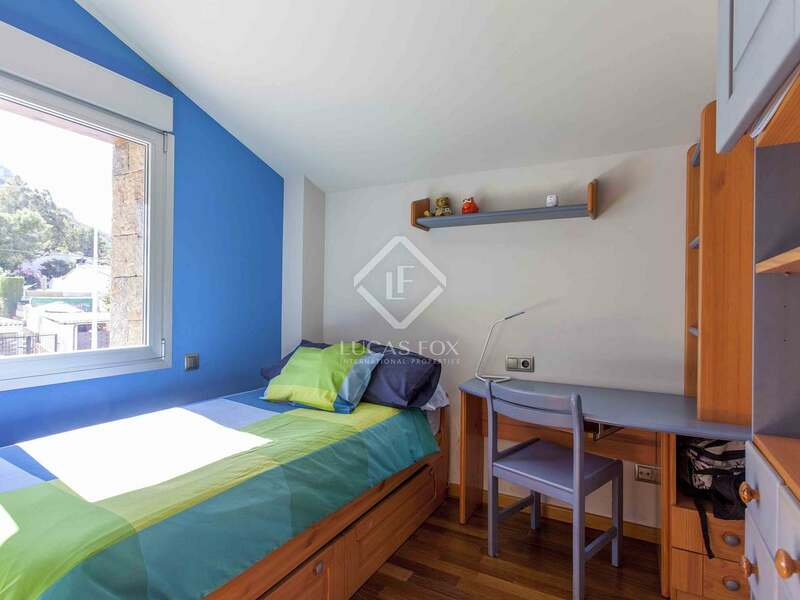 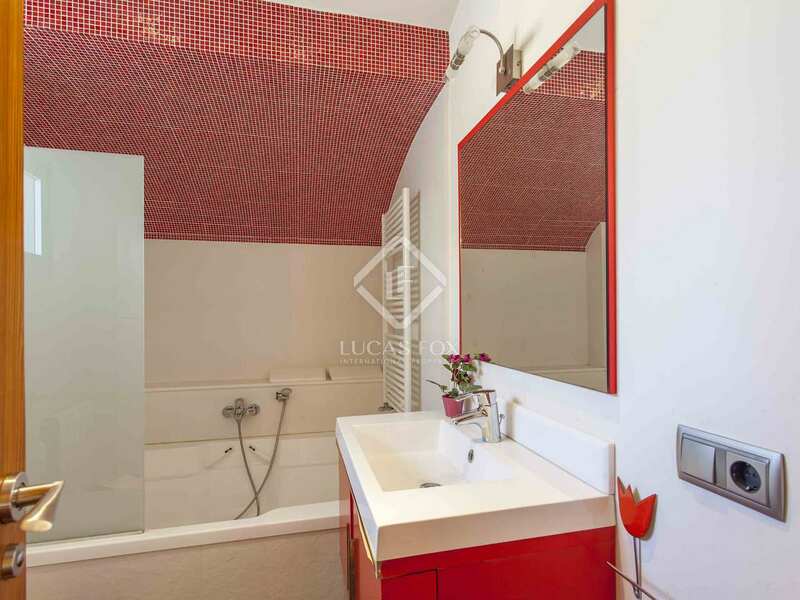 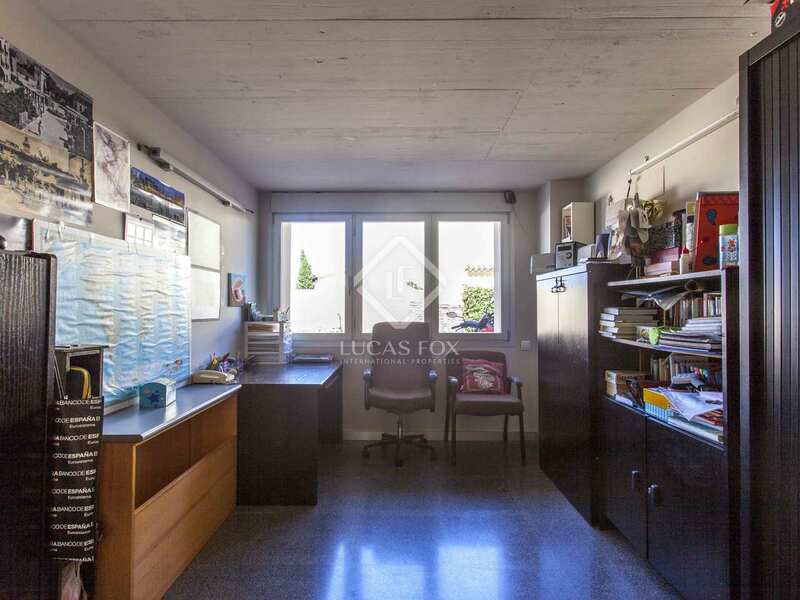 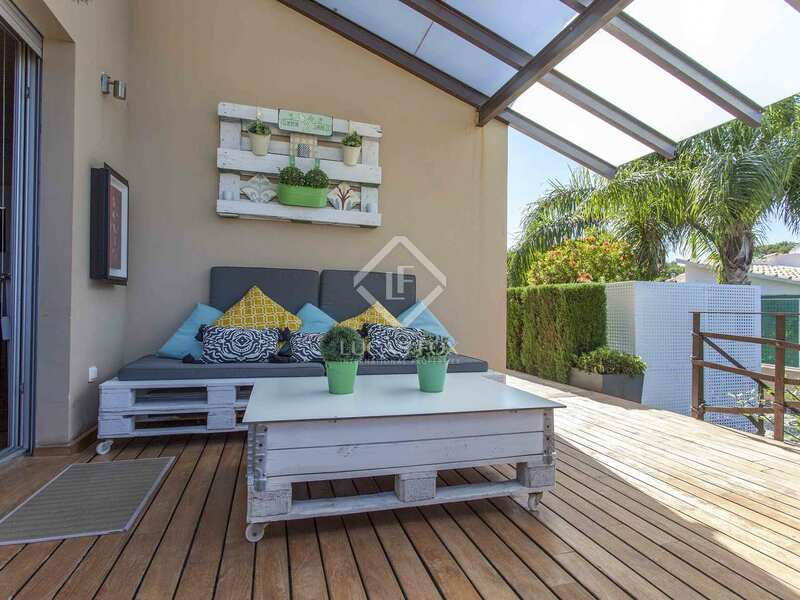 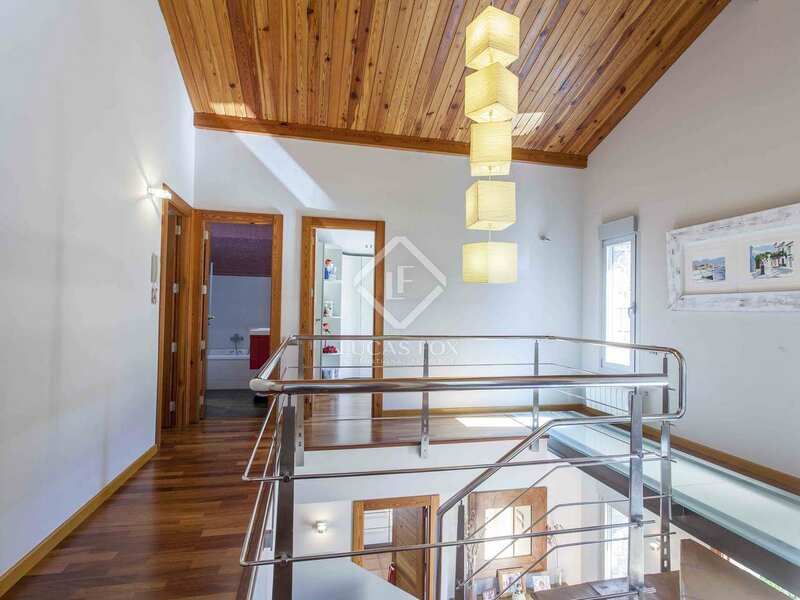 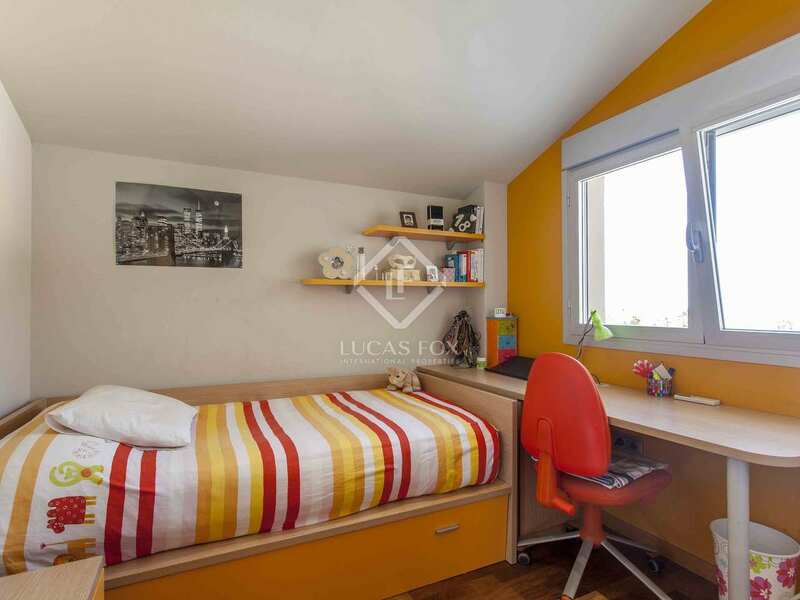 Built to a high standard on 2 floors plus a basement, with a built area of 233 m², it stands on a flat and very sunny plot with an area of 766 m². 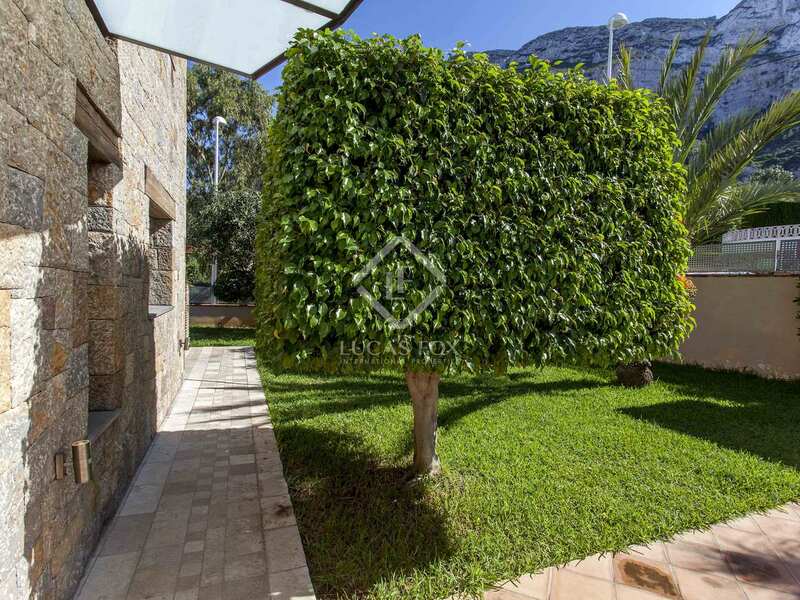 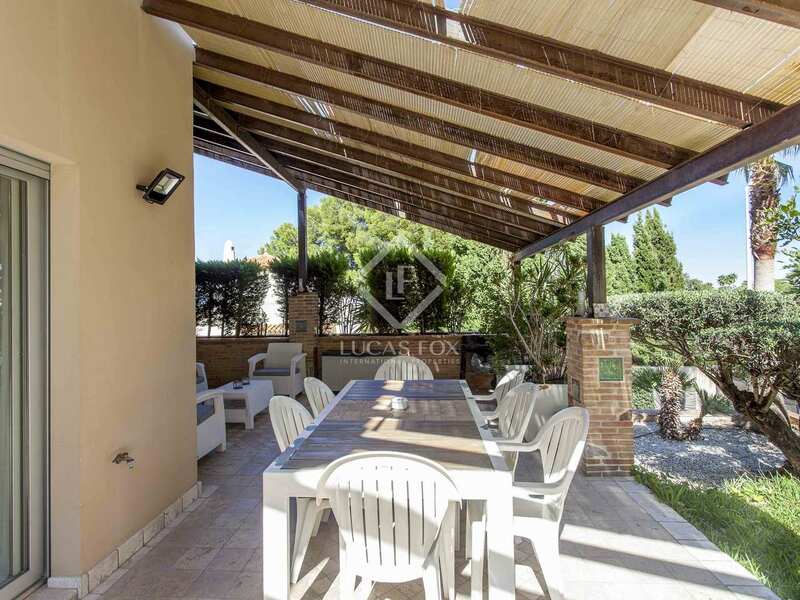 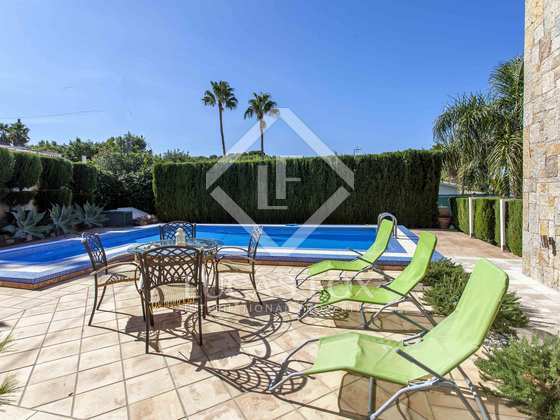 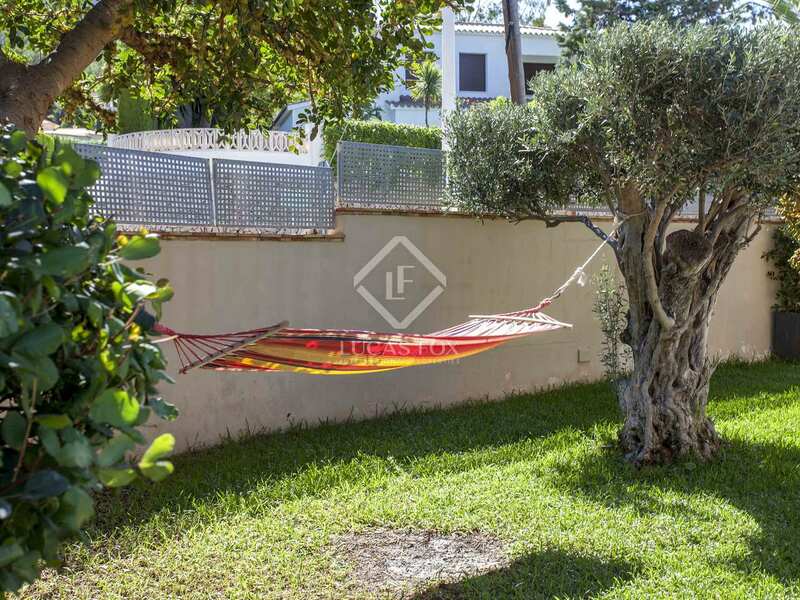 The property, located in a residential area offering privacy, has a large garden, pool and terrace. 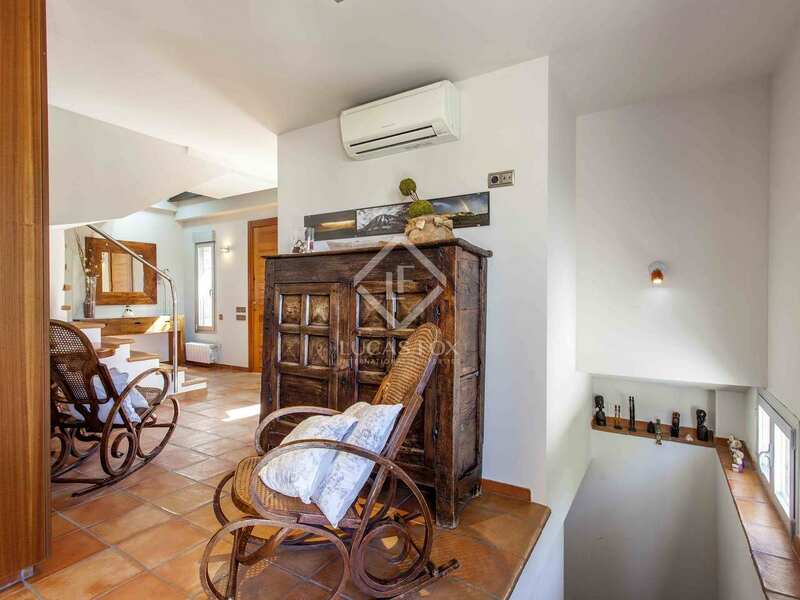 Entering the ground floor of the villa, we find the entrance hall, a separate kitchen with terrace, living room with terrace, a cloakroom, rear porch and utility area. 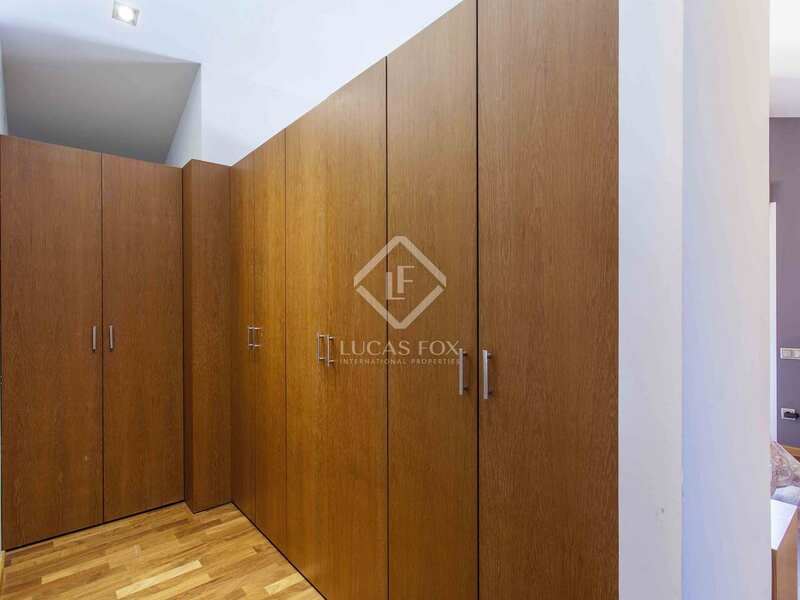 Moving up to the first floor, there are 4 bedrooms, including 2 en suite and 1 with dressing room, and 2 complete bathrooms. 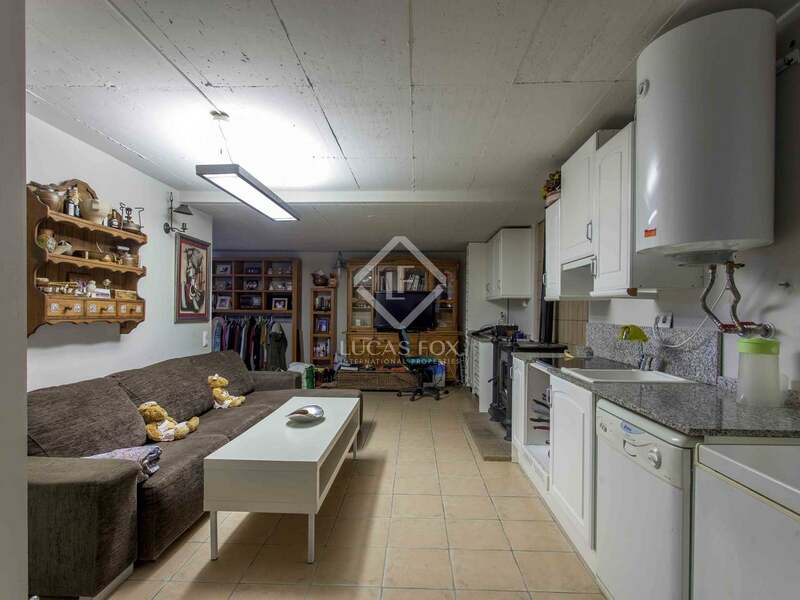 In the basement, we find an office, living room, another kitchen, 1 double bedroom, 1 complete bathroom and the garage. 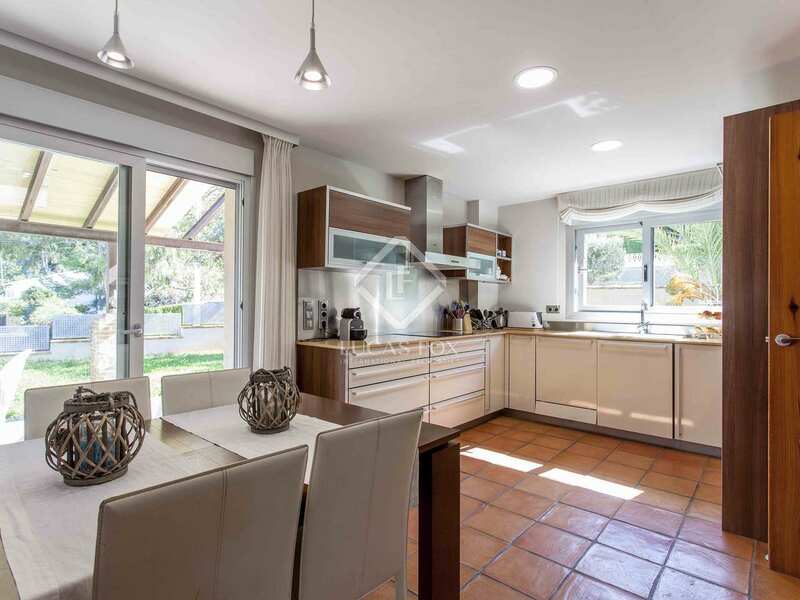 The home is fitted with gas central heating, underfloor heating and 8 hot/cold air conditioning units. 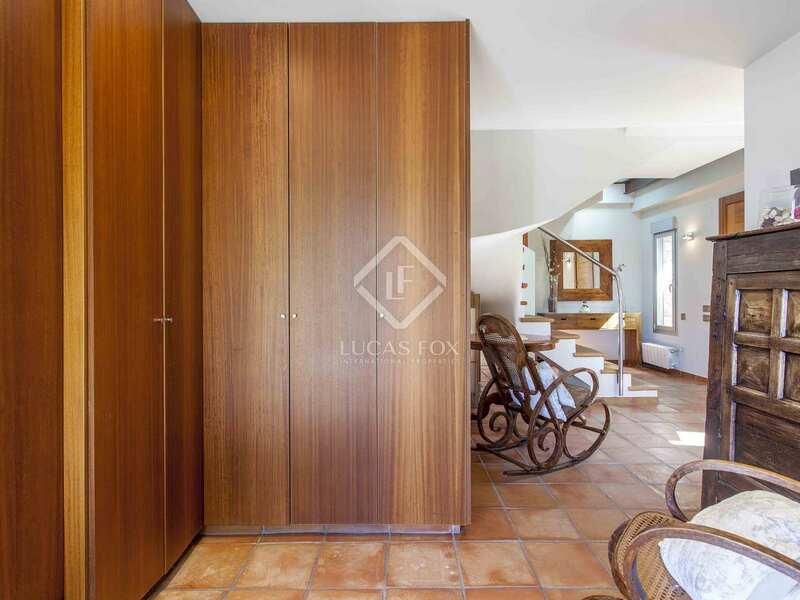 The flooring is in terracotta tiles and iroko wood throughout. 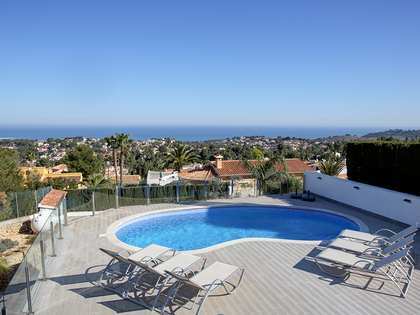 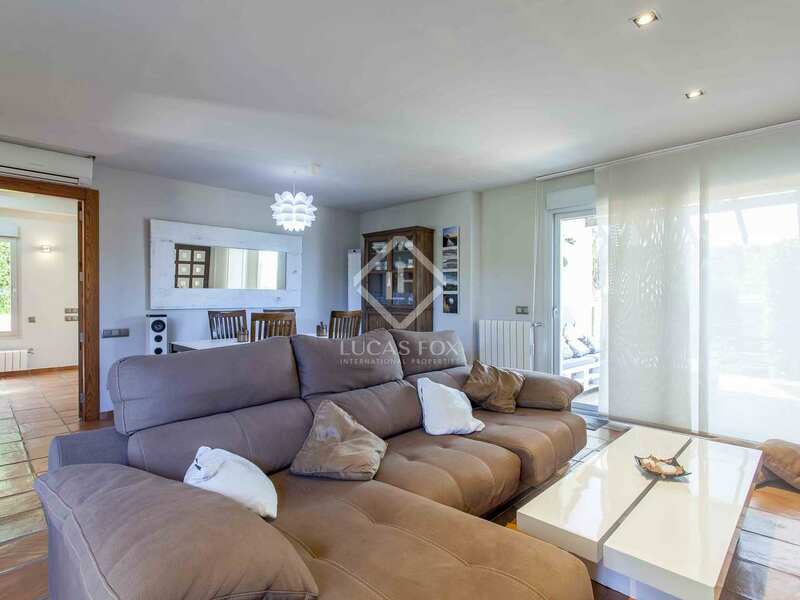 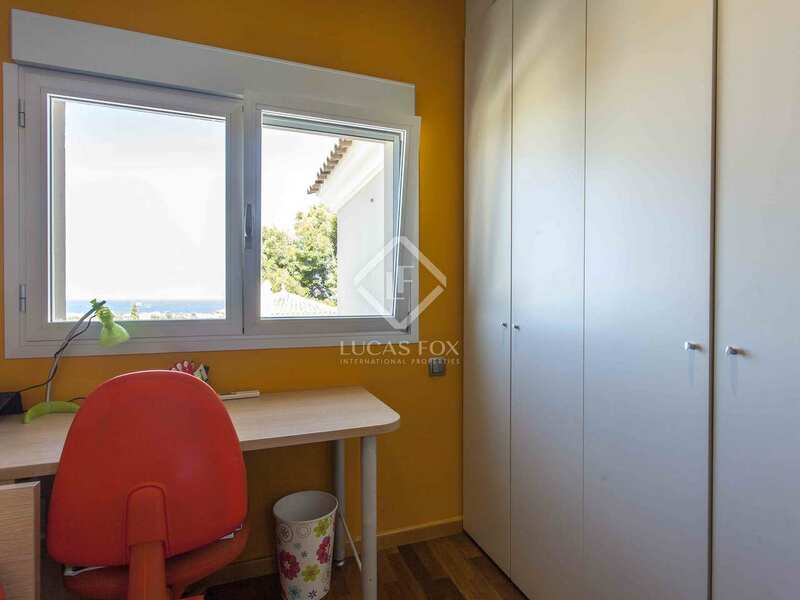 The villa is located in a residential area offering privacy and views over Montgó and the sea. 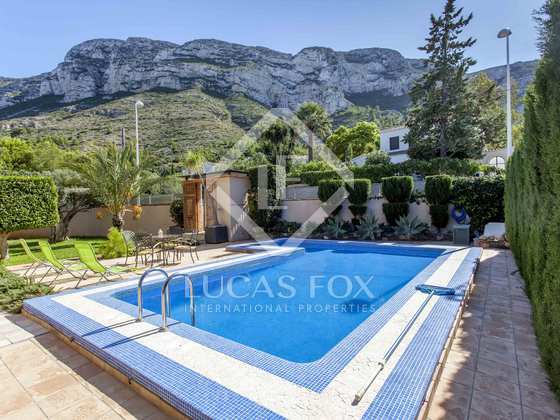 The property would be suitable as a primary or secondary residence, particularly for families. Dénia is located about 80 km from Valencia and Alicante, which are both cities with major airports. 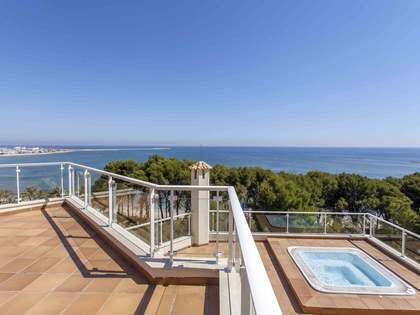 It has more than 20 km of sandy beaches and rocky coves with transparent waters. 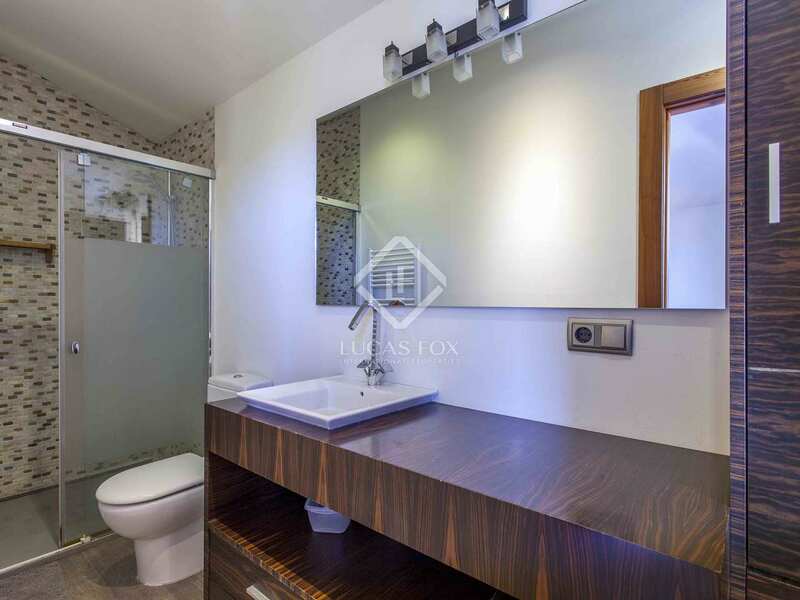 It has a sea port with regular boats to the Pitiusas islands, a fishing port with an important fish market, and 4 marinas. 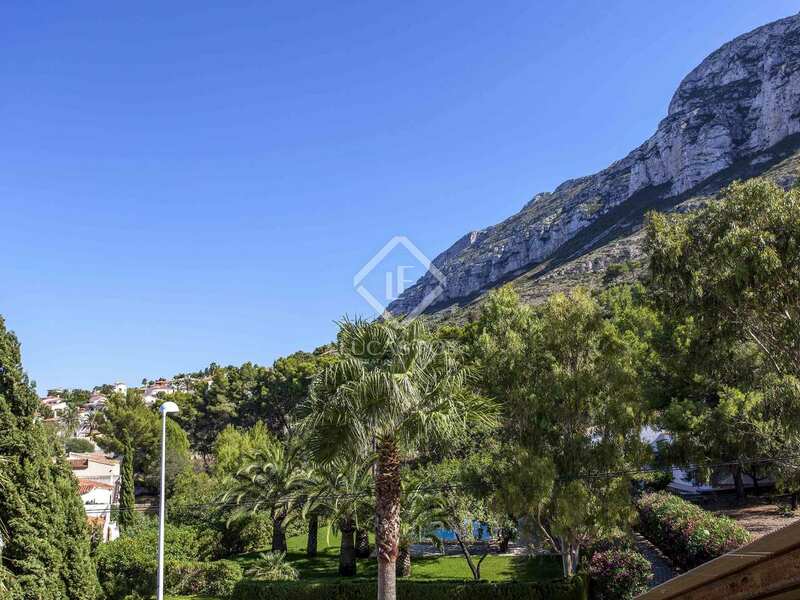 Dénia is the ideal city to spend a season or for year-round living as it offers all necessary services and facilities, including shops, libraries, public and private hospitals, and excellent and varied restaurants.